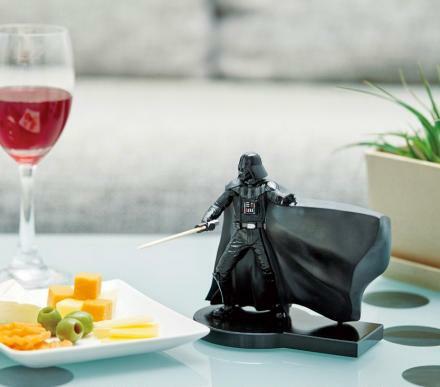 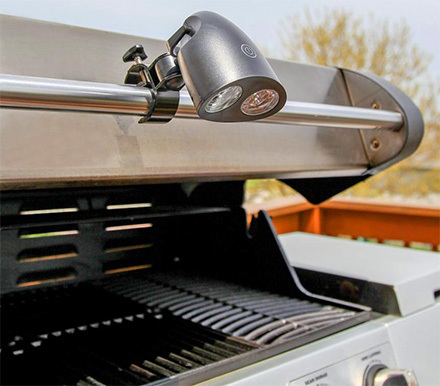 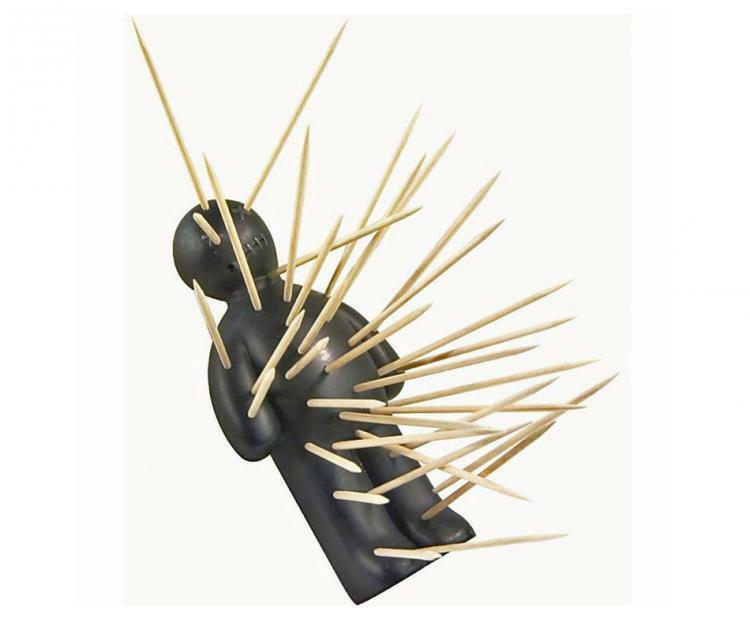 If you need something to accompany your Voodoo knife block, this Voodoo toothpick holder might do the trick. 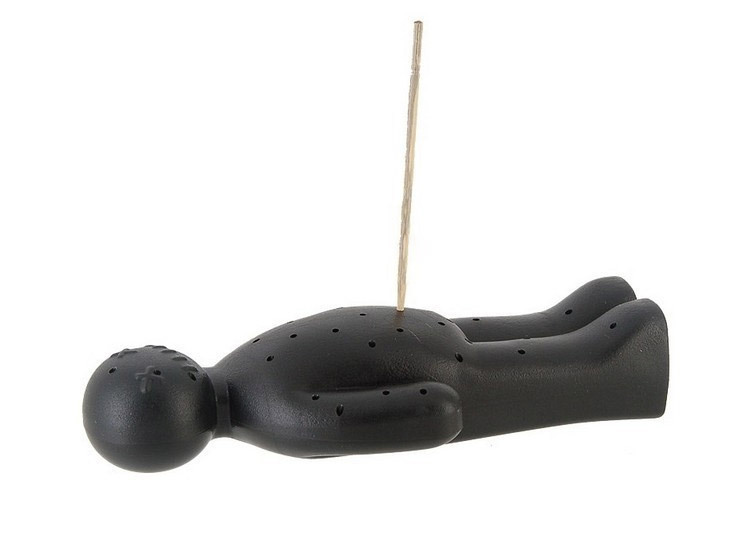 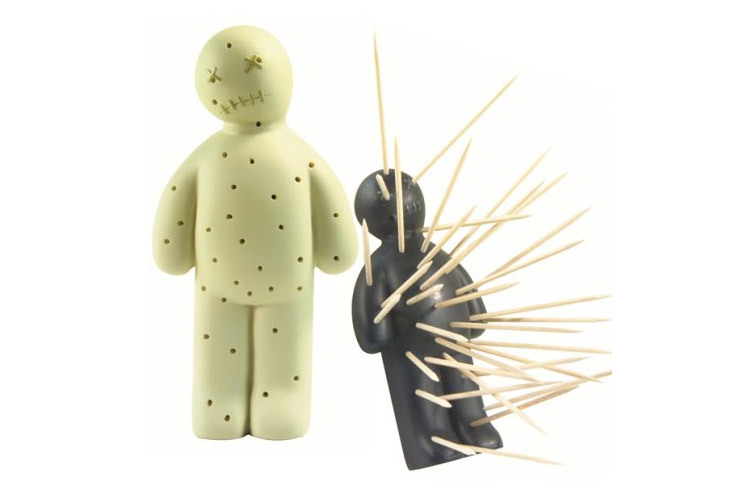 Made to look like a Voodoo doll, the Voodoo toothpick holder is littered with little holes to hold your toothpicks, and is a perfect way to punish your ex-boyfriend after he cheated on you. 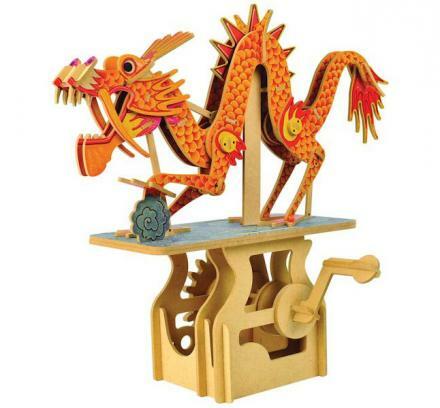 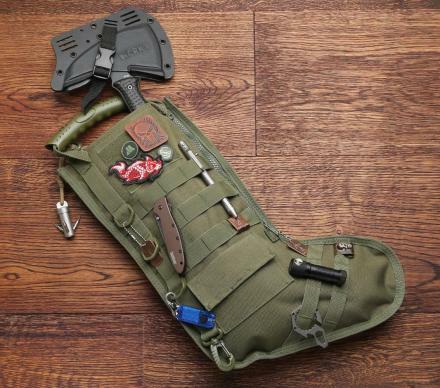 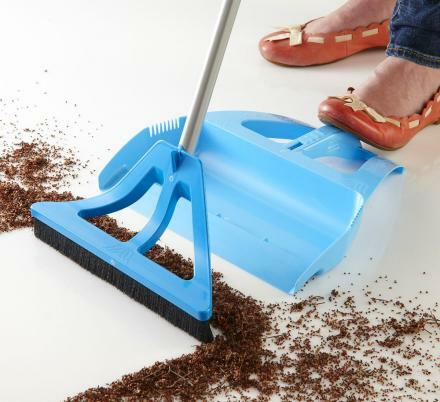 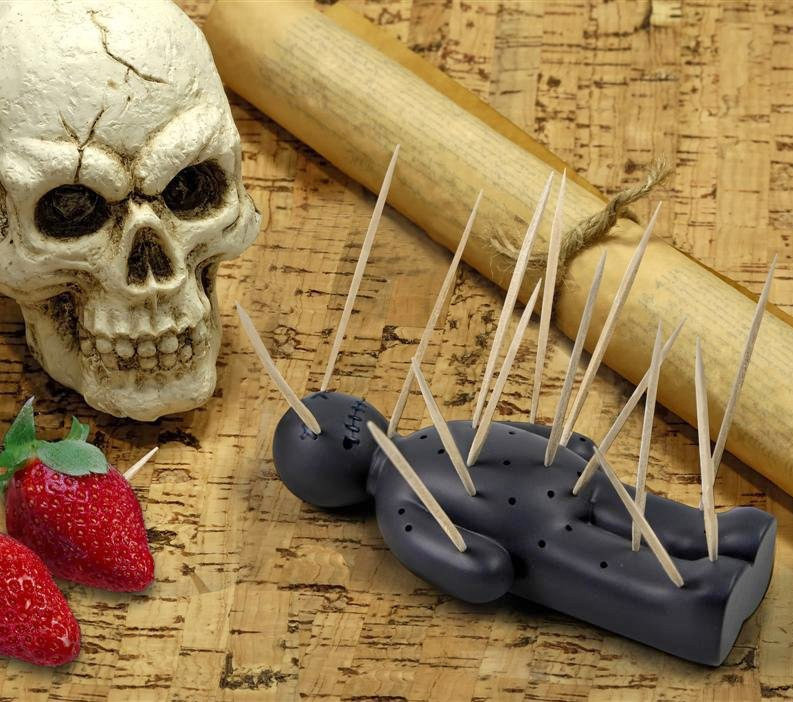 Plus the Voodoo toothpick holder could also work as a weapon, as each side of it will be filled with sharp little sticks, so if you find yourself in your kitchen as an intruder is breaking into your home and can't find your Voodoo knife block set to grab a knife from, simply hurl the toothpick holder at the intruder. 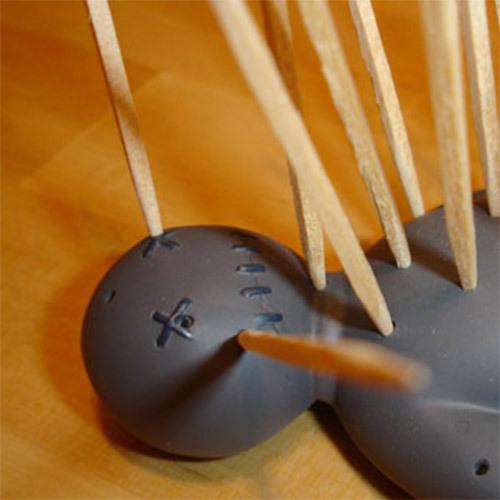 The Voodoo doll toothpick holder can hold up to 35 toothpicks at a time, which probably isn't the most convenient way to store toothpicks as you have to replace each toothpick individually, although does it make up for that with its quirkiness and creativity? 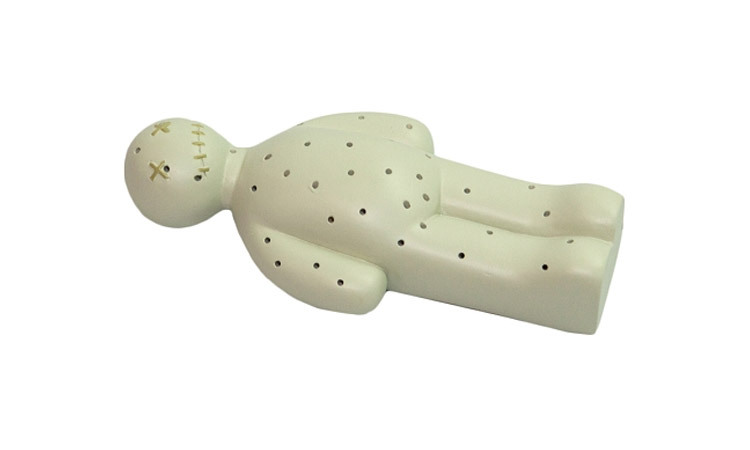 The Voodoo doll is made from polystone plastic, is white in color, and measures 5.75 inches long x 3 inches wide.